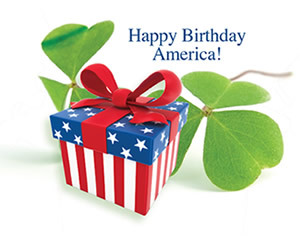 We share many blessings in America…freedom of choice, freedom of speech, a dynamic economy where opportunities abound. Unfortunately, too many Americans take these blessings for granted. The President has been called out with one vile attack after another. What prompts this incivility? Have we no respect? I suggest we take a deep breath and ask ourselves, is this the way adults should act? My answer is NO!!! Instead of inflamed rhetoric, we need discussion and understanding of the challenges our nation faces, and there are many. We must work together to solve our problems. Talk is cheap. We need action. We have serious problems with our current immigration policies. Rather than one omnibus bill, Congress should identify what we can agree on and pass it one step at a time. It’s time to get something done! We have a major opportunity for peace with North Korea. Six months ago, we were worried about ICBM’s hitting Hawaii. Now, we are sitting at a conference table talking to each other. What will the outcome be? No one knows but at least, let’s give it a chance. I suggest we offer positive support to the process. Let’s not defeat it before it starts. Our economy is booming; growing at 4% and climbing. Wages are increasing as well. Last month’s Reflections covered this success story. Yet, we continue to hear from the Democratic leadership that if they are elected they want to increase taxes and bring back job killing regulations. This is not the Democratic party I knew under President Kennedy. He cut taxes and we saw the economy boom. We must replace incivility with respect for other peoples’ viewpoints. And let’s eliminate the foul language in the media; it offends and distracts from the real issues. All of us will be judged on what we do and not by Who we criticize. Despite all the criticism, we have the greatest country in the world. Our forefathers gave us the framework for success. Our responsibility is to build our country and not destroy it by doing dumb things! Let’s work together to make America stronger. Help Wanted. Business is Booming!! America Has Achieved Energy Independence!